Everyone has a food or two that they just won’t eat. I, for example, do not eat raisins (yes, I eat grapes) or chopped coconut. Don’t get me wrong, I enjoy an occasional Pina Colada and am happy to drink coconut milk. I just can’t stand the texture of raisins or raw coconut – no macaroons for me. Some time ago, I was dating someone who refused to eat mushrooms of any kind. Seriously? We were on the verge of spending Thanksgiving together and his aversion to mushrooms put me in quite a conundrum. I mean, I had been making the Turkey and Stuffing for Friends-Giving since I was in college and had really perfected it. And part of that perfection is morel mushrooms, the bacon of the mushroom family, and a key ingredient in my Thanksgiving stuffing. I had a difficult decision to make….Eliminate the mushrooms? 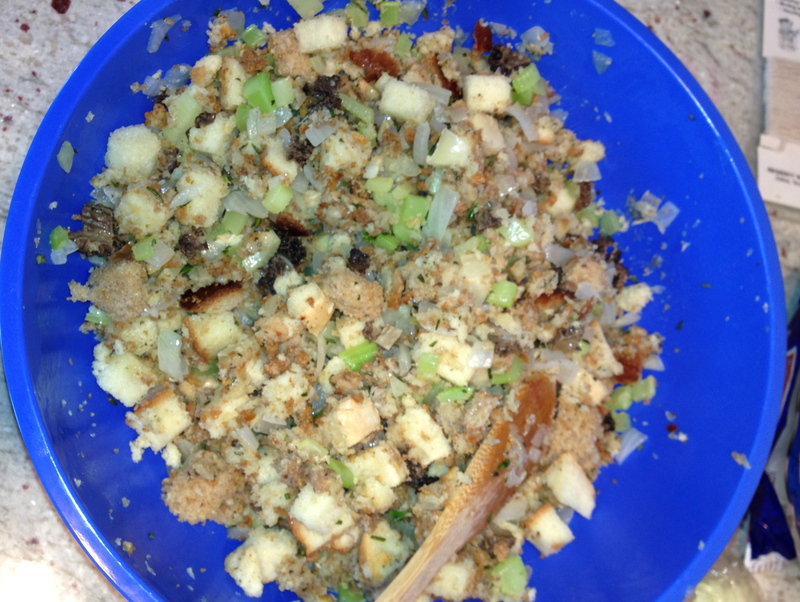 Make two separate batches of stuffing? Or, just don’t tell him and hope for the best. Hmmmmm….This particular boyfriend had a career where knowing things and figuring things out were sort of important. Like part of his job and such. 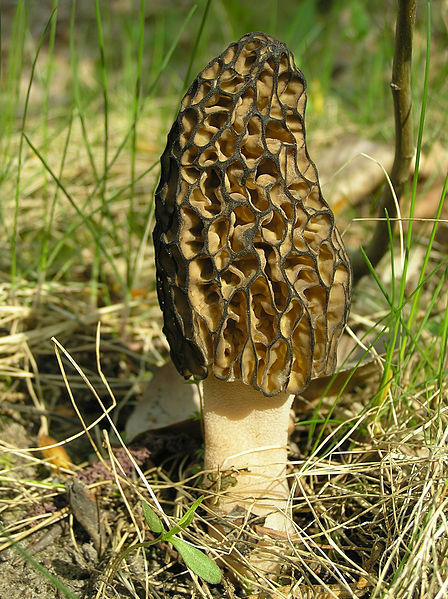 What he might not have known is that Morels are prized by gourmet chefs around the world. In the US, they are known by many names including Hickory Chickens, Molly Moochers, Merkels and even Miracles. In our house growing up, we called them Bacon Mushrooms because of their smoky, rich flavor. 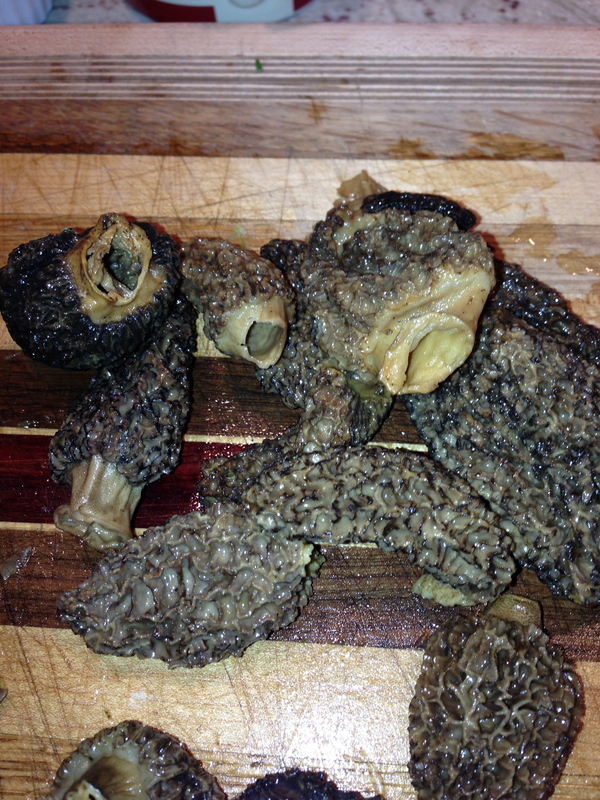 So, I couldn’t imagine Thanksgiving without morel mushrooms…I took the risk and I put them in and didn’t say anything. What? Like you’ve never done that? 1. 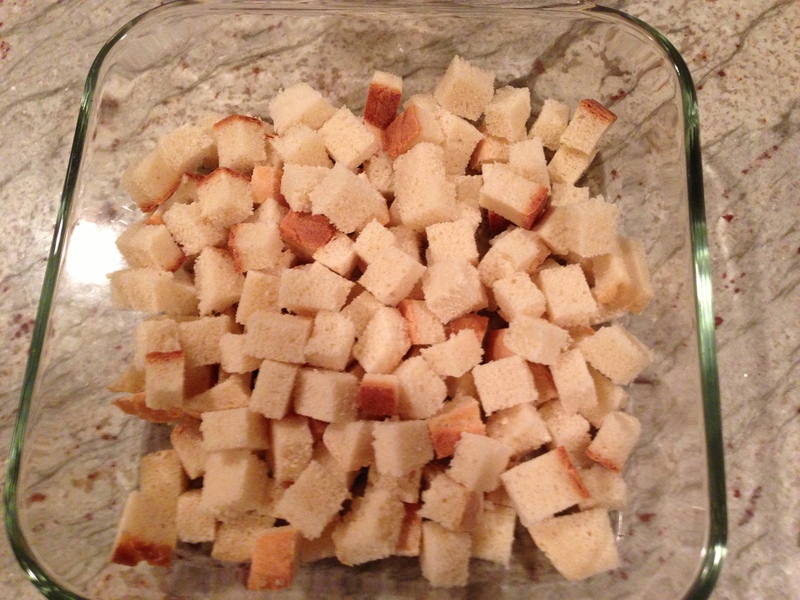 The night or two nights before, cube the white and wheat bread. Put into a baking dish, cover with plastic wrap. Poke some holes in the wrap and set aside. This will stale up the bread a bit. You can also just toast the cubed bread in a single layer on a cookie sheet in the oven at 200 degrees for about 10 minutes to crust it up a bit. 2. Put the dried morel mushrooms in a medium bowl and cover with chicken stock to rehydrate – this takes about an hour or less. I usually buy Whole Foods 365 brand Chicken Stock – it’s not any more expensive and very good. 3. Preparation – so important. 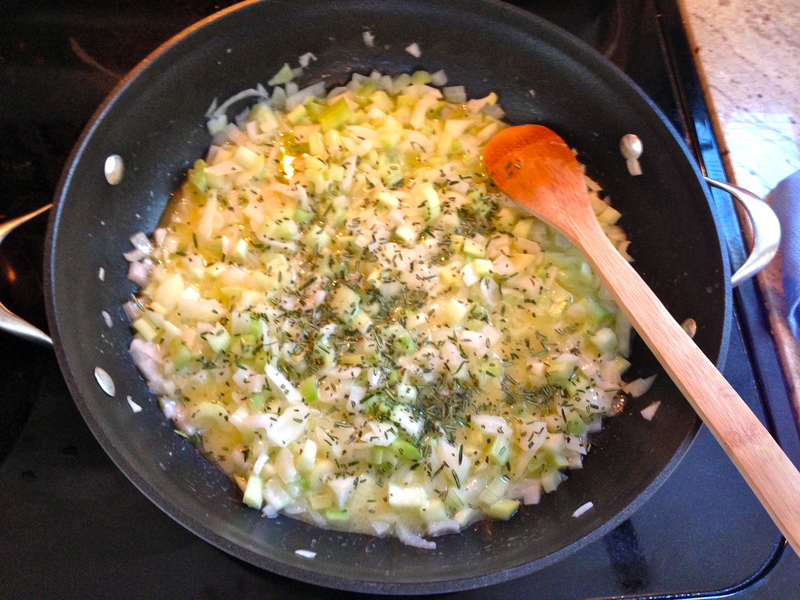 Dice the onions and celery and finely chop the rosemary leaves. 7. 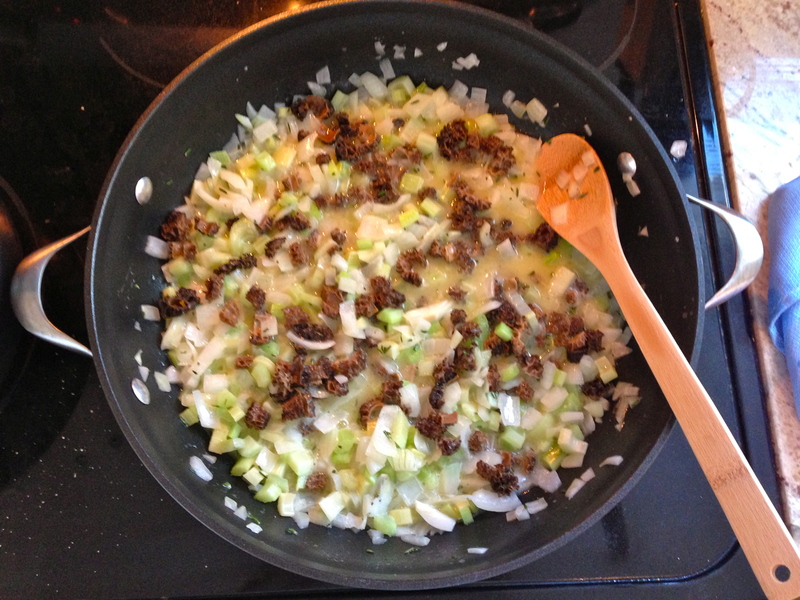 Add the onions, stir for about 2 mins and then add celery and cook until softened – about :10 minutes. 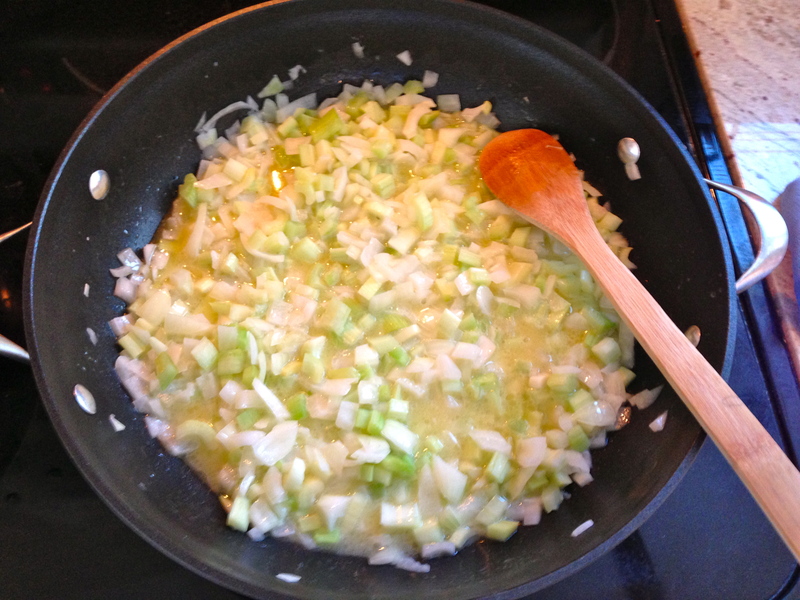 You want the celery to maintain some of its crunch. 12. 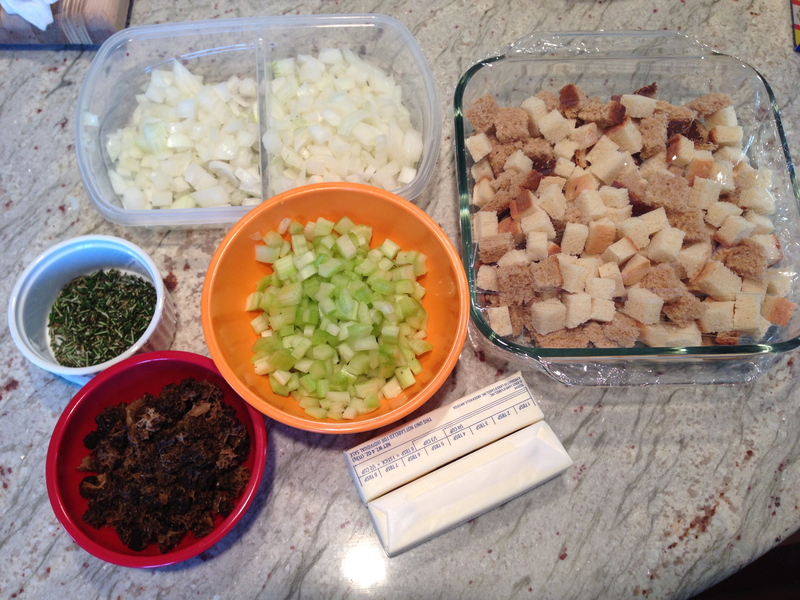 In stages…like 1/2 cup at a time…pour the buttery, oniony, celery, morel-y, rosemary, chicken stock-y mixture over the stuffing/cubed bread mixture. 15. 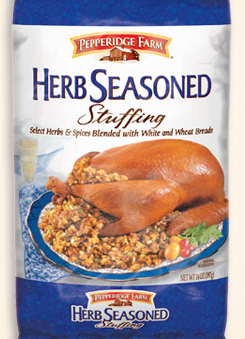 Depending upon size of your bird, you will have extra stuffing. 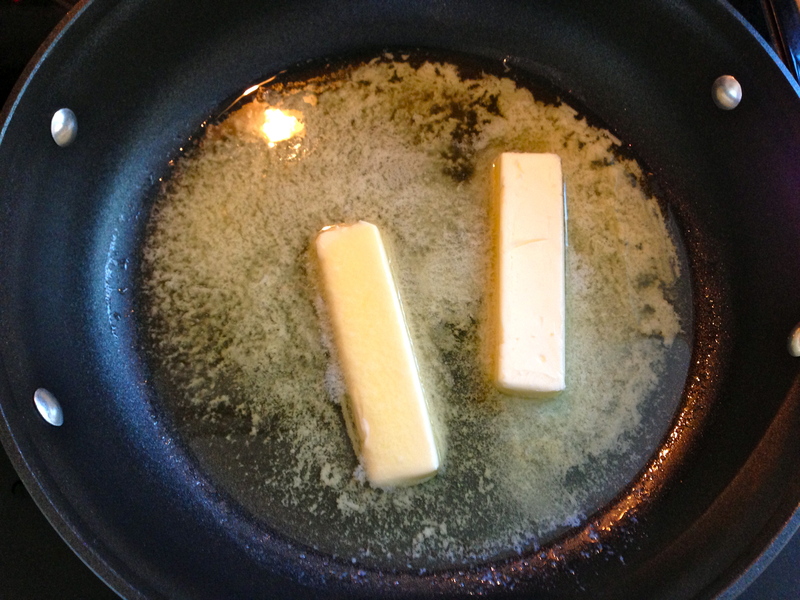 Put this extra in a baking dish and reheat prior to serving. You may need to add a little extra chicken stock to keep it moist and delicious. Remember anything not stuffed in the bird won’t benefit from the turkey juices. Thanksgiving that year was a big success. The boyfriend ate the stuffing and never caught on to the secret mushrooms. I’m not saying lying is a good thing – it’s not. But, I just couldn’t give up my bacon-y morel mushrooms. Some secrets are worth keeping. 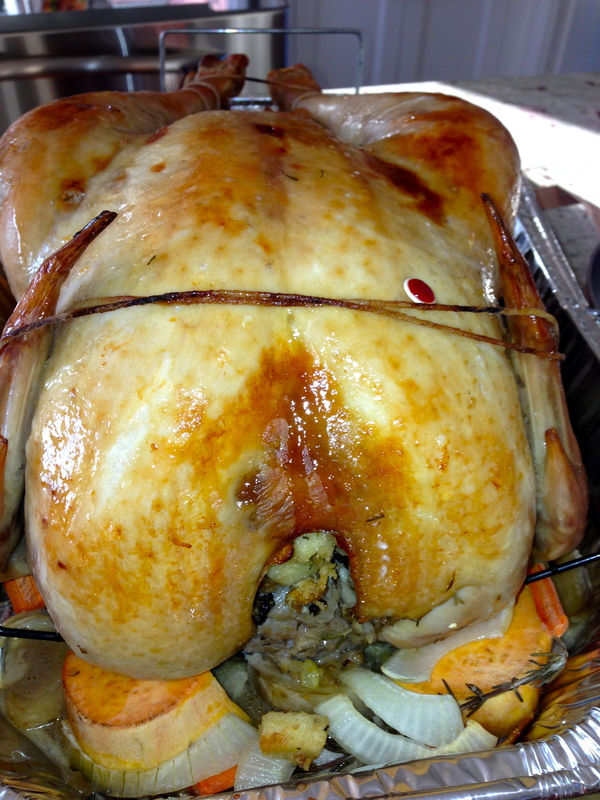 For other Thanksgiving Day tips see Talkin’ Turkey…. 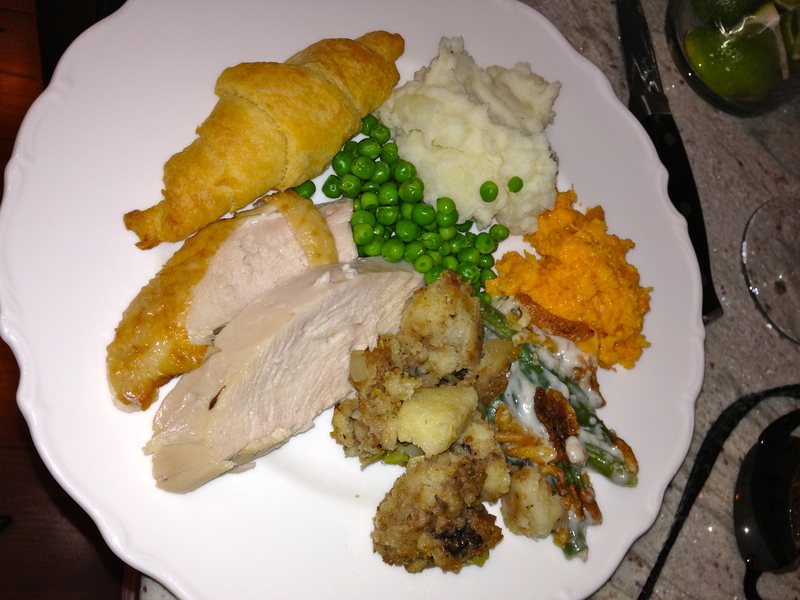 This entry was posted in Breads, Easy Cooking, Holiday Meals, Side Dishes, Thanksgiving and tagged chicken stock, Morel Mushrooms, Pepperidge Farm Stuffing, Thanksgiving, Whole Foods by AnniesDishList. Bookmark the permalink. 8 ounces of Morels, at $15 an ounce (you cannot get fresh Morels around Thanksgiving time, so dried are the only kind you can get). That’s $120 just for the mushrooms alone. Pure insanity! And a typo – sorry! 1oz would do 🙂 Still expensive…but delish.